3. Herbal Essences Medium Shampoo and Conditioner -- The travel size ones are too small for me and Aaron but there is a Medium Size range, and can usually be picked up for around £1. They Last for the whole week easily for 2 people. I like the Hello Hydration Range as it keeps hair hydrated and healthy. 4. 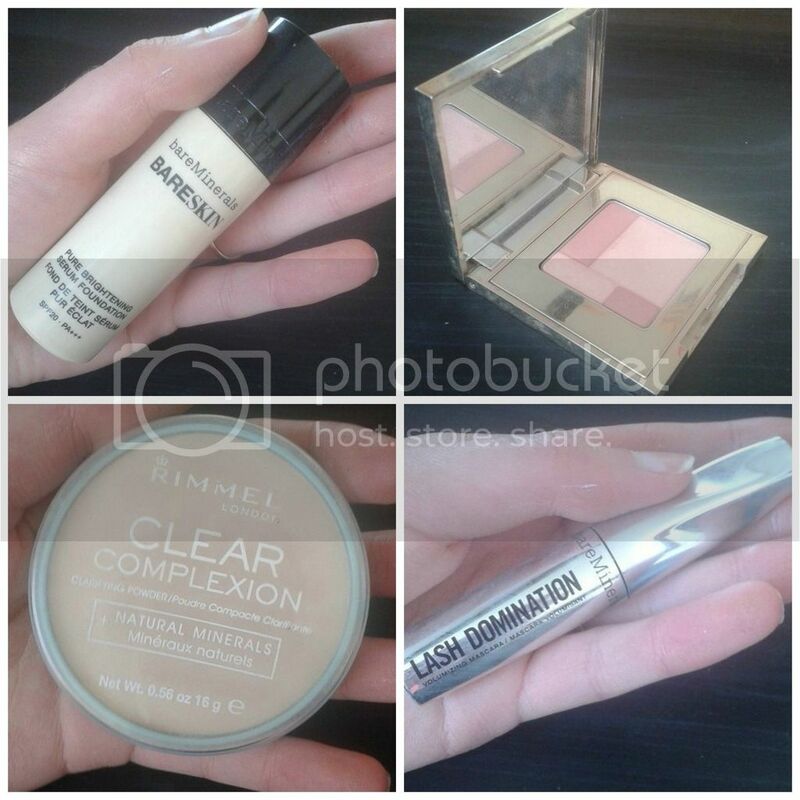 MakeUp -- Preferably a foundation with SPF, I really like the wake me up foundation by Rimmel. 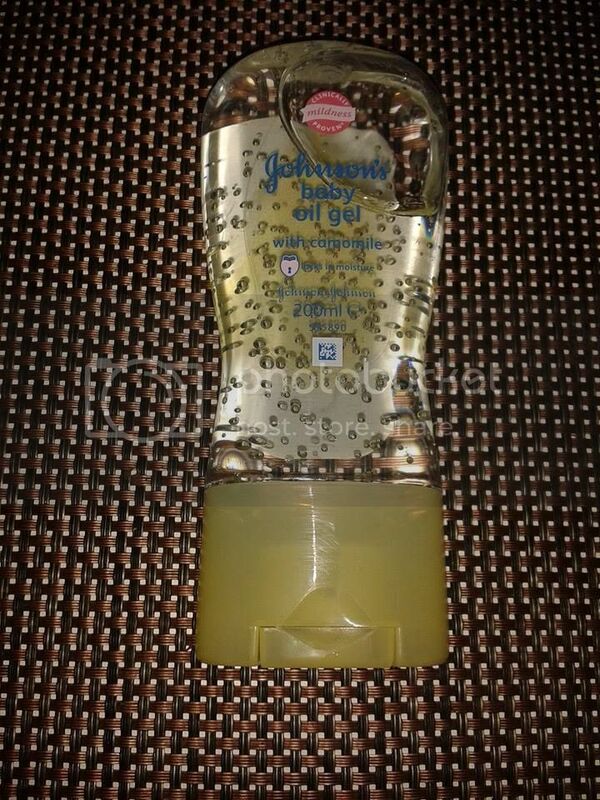 It's got a light feel to it but you can build up the coverage, it is SPF 20. 5. 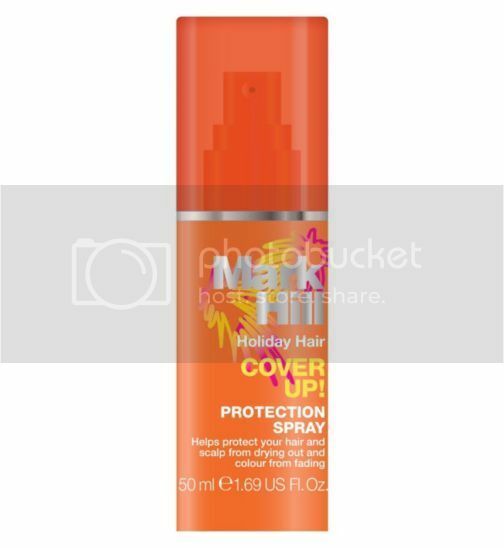 Sun Protector for Hair -- People forget that it's not just your skin that needs protecting but your hair too! Mark Hill have a good Holiday Range. Find there protection spray here. Spray the product evenly through the hair and hair line. 6. Nivea Moisturising lotion -- Sun dries out your skin like nothing else! Use this lotion to hydrate your skin. It leaves a refreshing feel to it and the scent it gorgeous! 7. 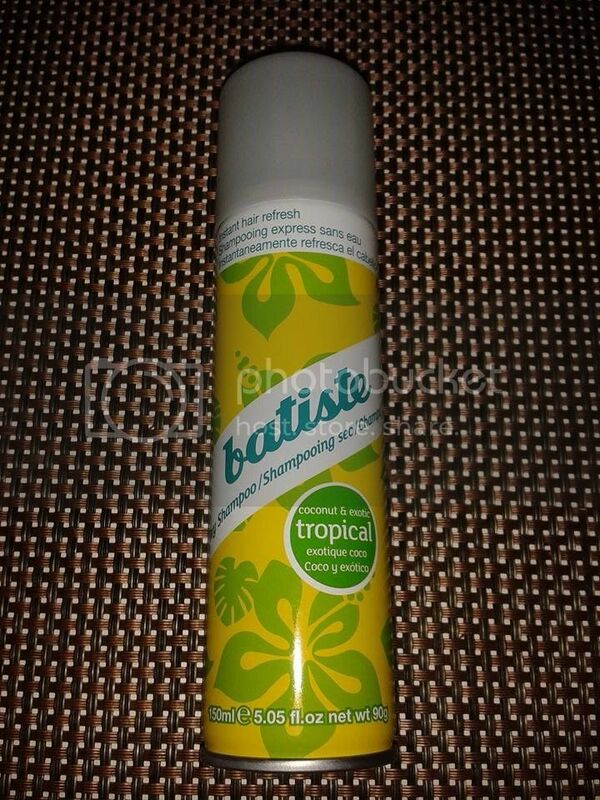 Batiste Dry Shampoo Tropical -- The best for a quick fix to Freshness! Hope this list helps..For the lead up to my holiday I will definitely do more holiday packing posts! I've been hearing ALOT about this brand recently and I am currently waiting for mine to arrive in the post to give it ago! It's not yet huge in the UK, there are only a few of the different ranges in shops at the moment. I went on their website and I cannot wait for some of the new ranges to hit the shops in the UK! There's Eucalyptus Mint to stimulate and cleanse the scalp, Cherry Blossom Ginseng to add volume whilst moisturising, Lemon Highlights to add brightness to your highlighted hair..ahh the list is endless! 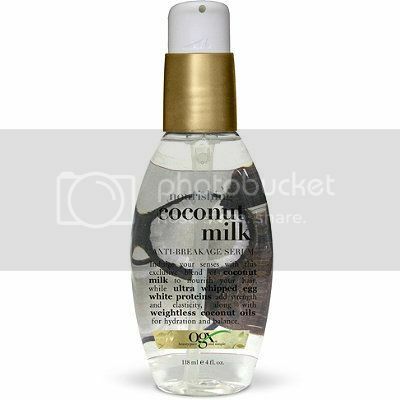 The one that I am wanting to try though is the one that people are raving about which is the coconut milk range. More specifically the coconut milk shampoo, conditioner and serum. People are saying not only do they hydrate your hair and make your hair feel like it's never been touched by heat but a lot of people are saying they are noticing their hair grow quicker too! I am really looking forward to trying them and will give them a good 2-4 weeks tester to see if i'm noticing a difference and get back to you about them! Have you guys heard of this brand? Cheapest AND most AMAZING shampoo and conditioner! So I've tried really expensive shampoos and conditioners and also really cheap ones...the products that i will be talking about today are insanely cheap and WOW i love them! I have infact bought these particular ones before so this is actually my second round of using them. I decided to buy them again to jump back on the coconut oil hype that seems to be happening at the moment. Alberto Balsam is an extremely inexpensive product line but also has always been in my favourites since i was young. I remember my best friend having them in her bathroom so i used them once and i've been hooked since. Not just with the coconut one either, they have Tea Tree, Raspberry, Blueberry and Apple too! 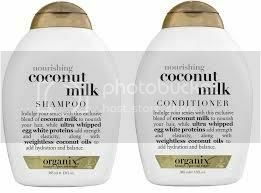 As my hair has been having real difficulty recently with splitting and shedding I decided to treat it to come TLC and opt for the Coconut and Lychee shampoo and conditioner. Not only does this product smell beyond amazing, but it genuinely makes it so soft and detangles it making it more manageable and super shiny. It's also meant to help strengthen your hair up with Pro Vitamin B5. 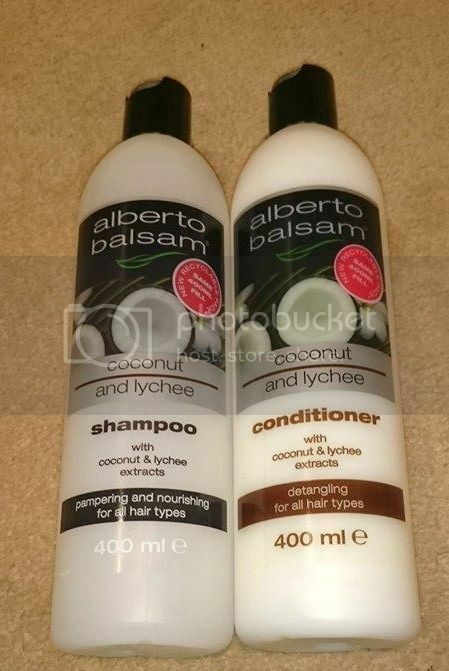 This is by far my new favourite shampoo and conditioner and saves me huge amounts of money at only £1 each! How good is that! 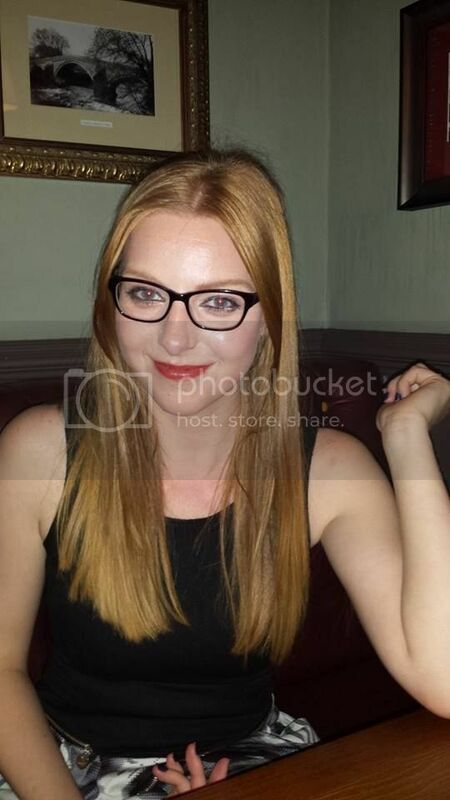 I had a night out with my friends last week and was really happy with how my make up turned out so thought I would share! I insisted I was going to make a red lipstick work on me! So I went for a darker, orangey red shade. This was actually my friends but I believe it was from MAC and although I loved the shade it was glossy and didn't have huge staying power. I think now it's spring, more orange red tones suit better and in winter time violet reds work really well. I'm big on highlighter products at the moment. I used my dupe highlighting Beam mentioned on my previous post and it worked great! 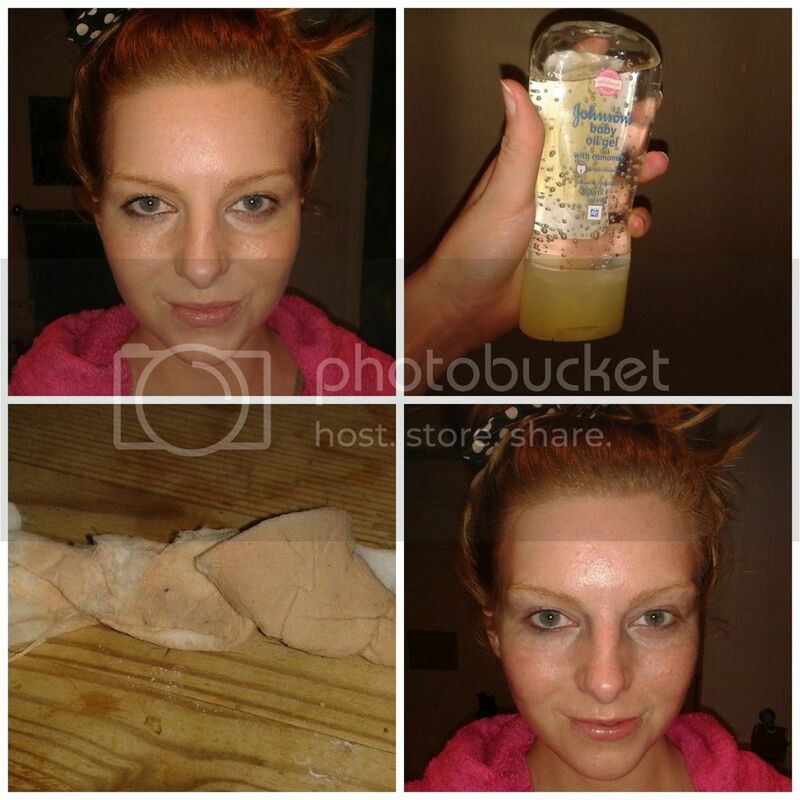 I used it on my cheekbones and forehead just to give myself a bit of a glow! 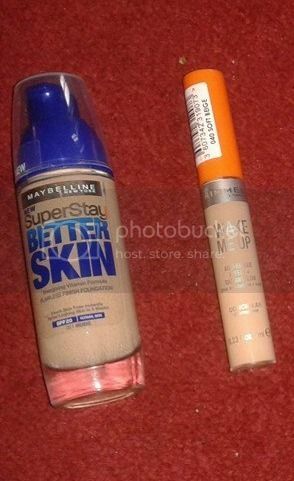 Foundation: Better Skin by Maybelline which has great coverage and lasts all night! I sealed it in with Rimmel shimmer bronzer everywhere and down onto the neck. I blow dried my hair using Schwarzkopf volume mousse and a large barrel brush. Put BedHead After party smoothing cream on the ends, this helps smooth any stray hairs! Hope you like the look and I will try my hardest to post more again once i'm fully better! This is my makeup look using the BareMinerals Liquid Foundation. I have been in two minds whether I like this foundation,as it's very oily! But, I am enjoying it a lot more now it's getting warmer and everyone is after a more dewy, lighter look. I started by putting a blue based concealer around my eyes to hide dark circles and I add two drops per section of my face for example: 2 drops for my forhead, 2 drops for each cheek and a couple of drops for both my nose and chin. This amount works for me, as otherwise it's too sheer and doesn't cover my acne scars. BareMinerals say two drops should cover your whole face but this really isn't the case! After this, I buff the foundation into my skin and mattify with rimmel clear complexion around my eyes, don't mattify your whole face as it defeats the point of the foundation. I contour my cheek bones and up to my forehead and then put my Clarins blusher on. Buff everything into the skin. Apply your mascara, eyeliner and eyebrow pencil and then your done! Hope you enjoyed this step by step and let me know if you like the BareMinerals Foundation! Has anyone else heard that you can use baby oil as a cleanser? I was curious to see how it would work, and as I am a big fan on baby oil as a body moisturizer, I thought there is no harm in trying it out. I wet my face with warm water and massaged the oil into my skin for about 20 seconds. I then got a damp cotton pad and rubbed my face in circular motions to help budge the make-up. I did avoid my eyes as I was a bit worried about putting Oil too close to them as they easily irritate..this is why on the last photo my eyes still have a fair bit of make up on ha ha! One thing I will say, the oil definitely dissolved and easily removed my foundation but did leave a greasy residue on afterwards which i'm sure will break my skin out in spots as I am prone to them anyway. This method is not one I will be continuing but I suppose if you had nothing else and were desperate it's an easy alternative! Have you guys tried this out? Let me know in the comments! This week, I have been doing different techniques to see what works best in getting that glowing yet flawless face. I have found a way that works great for me and I hope it helps you guys getting that flawless look! Sorry for the quality of the photos, I didn't want to edit them so you guys know exactly what it looks like in true colour. 1. 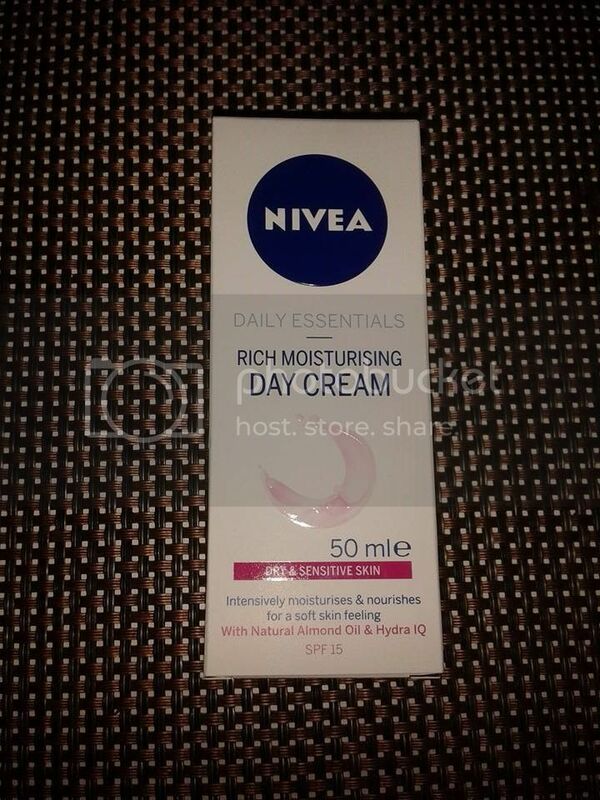 So I prepped my skin with the Nivea Day Cream for Dry/Sensitive skin. I give this 5 minutes to absorb into the skin. 2. I dot my "Better Skin" foundation by Maybelline onto my chin, my cheeks, my nose and my forehead. Then next to each of those sections, put a few dots of the High Beam highlighter. (Dupe of the benefit highlighter as mentioned on my previous post). 3. Buff this all into the skin using a foundation brush, you can use you fingers too but i find a brush has a better effect, but everyone's different. 4. Use a concealer to go around any bits that may appear red still. I go around my nose, eyes and chin. 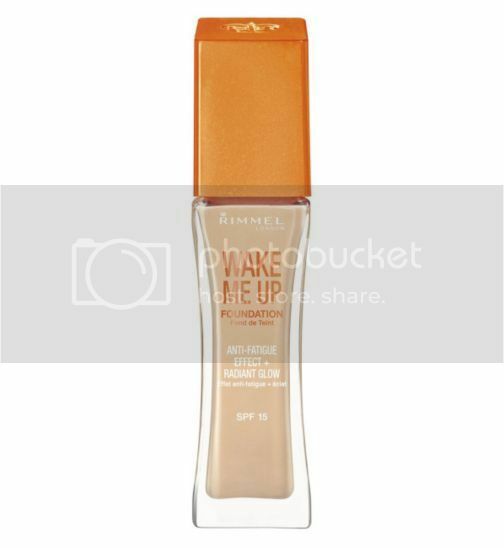 Rimmel Wake me up concealer is my current favorite! 5. I then use No.7 shimmer palette in rose, on my cheeks and under my brow arch. 6. Proceed to adding your shadows, mascara, eyeliner to finish the look! 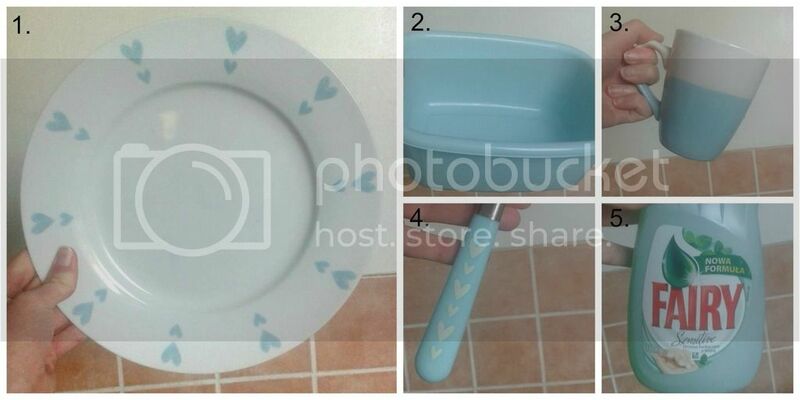 I love this pastel blue color at the moment, it really brightens up my kitchen. I also have some pastel pink items but thought i'd focus on the blue for today. I find that having dry skin can really get me down when I am trying to get that dewy make-up look. I have tried product after product and find that most make-up looks cakey and foundation emphasizes dry patches. 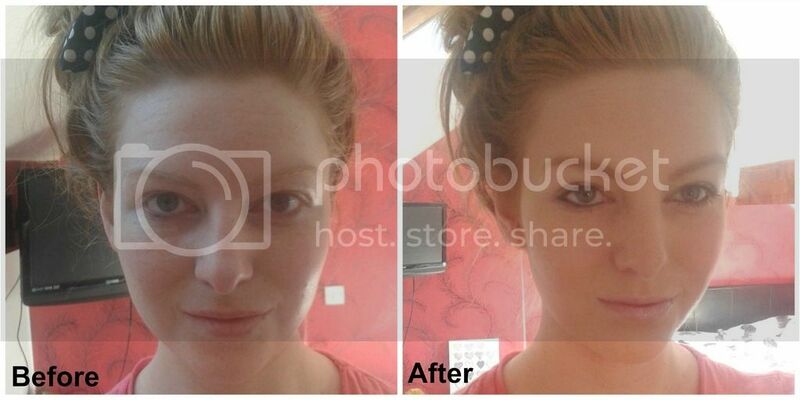 So, I have been on the hunt for products to help get that brightness back and to help make-up look glowing again. The reason I chose this one was first off because I am a huge fan of Nivea skincare products, but also because I purchased the Nivea facial wipes for Dry/Sensitive skin a while back and I must say they are the best wipes I have ever bought. Not only did they remove make-up, but they hydrated my skin so I didn't even have to put moisturizer on after. Of course though, by morning my skin needs more moisture, so I bought it's sister product, Day Cream for Dry/Sensitive skin. If your skin breaks out like mine does, it's also best to use a product for sensitive skin as the ingredients don't irritate the skin the same. Now you have your skin prepped, it's time to get the makeup side of things right. These are two of my favourite products. One thing I notice about the foundations for dry skin is they are extremely oily which can also make them too sheer. So what I do, is get one of my favourite foundations and mix it with either a highlighting cream or with a bit of moisturiser. This helps the make-up blend into your skin much easier and creates a more youthful look. (Try not to mattify everything with powder as it can dry you out hugely, instead, use a primer for staying power or a fixing spray at the end). 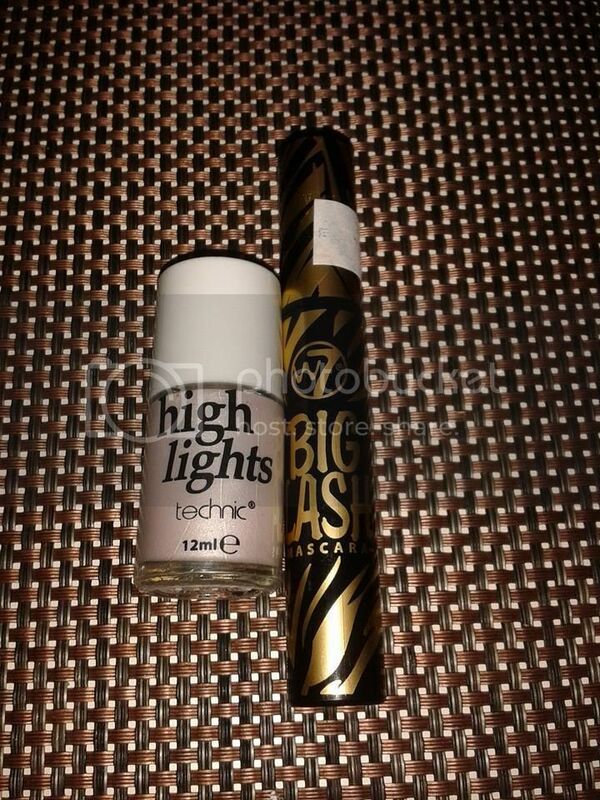 This is a cheap version of the Benefit High Beam and I really like this product. This can be mixed with your foundation or just a few dabs on your cheek and brow arch can give a great effect too. This is a product to keep your whole body moisturised. This will make your overall appearance brighter. Baby Oil is brilliant because babys skin loses moisture a lot quicker then an adult, so this oil gives double the moisturiser of a normal lotion. I have bought the Oil Gel as i feel it absorbs into the skin a bit quicker. the packaging is bad though as it's hard to squeeze out! It also has Chamomile in to soothe the skin. (Can be used as a shaving oil/gel too!). Hope this post has helped and enjoy getting glowing skin for cheap! How many others are obsessed with balayage?! I just think it suits everyone and it can be as subtle or as crazy as you want it to be. We dyed my clients hair dark a few months ago and although she liked it as it was easy to maintain from her natural colour, she was bored of it very quickly. 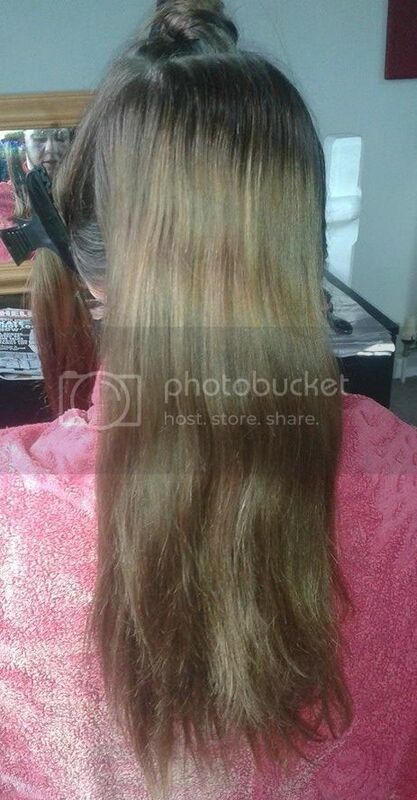 This is the before, i asked my client to use a dandruff shampoo to fade the colour as much as she could 2 weeks before I balayaged it, this makes the bleach take a lot easier. During -- I love how the hair looks when balayage is working it's magic. So I used bleach and 9% (Check the hair strength and do a test strand of the hair first if your worried). I then used 6/0 semi permanent on the root area. 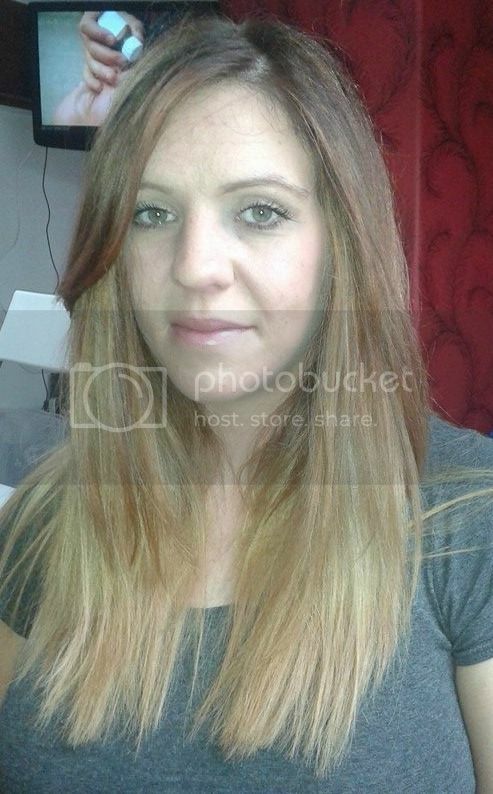 When I washed the hair, the colour was pretty but to me maybe just a shade too golden and i didn't want it to have that "bleached look" so i used 9/1 and 4% on wet hair and massaged it in for 10 minutes checking it all the time. The 9/1 just toned it down enough, and took out a little bit of the golden shade. Leave the toner on for longer if you want it to be really ash. I used my all time favourite product of Revlon equave hydrating spray and cut about an inch off the length and tidied up the layers. 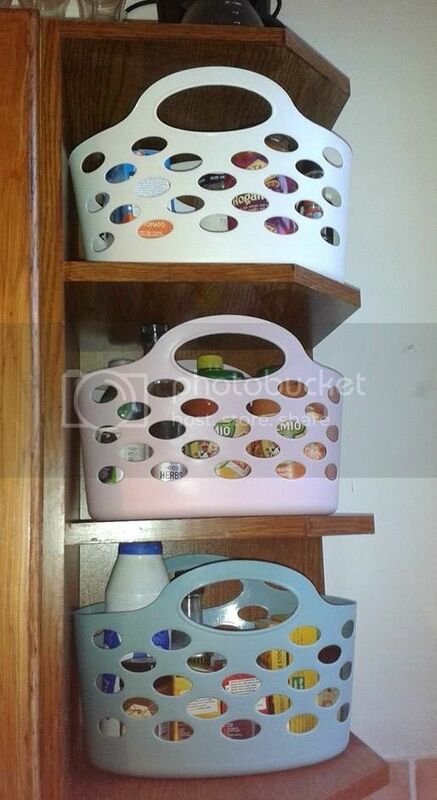 I absolutely love these Flexi baskets from Asda that my friend surprised me with today. These are really to put cleaning products in and to organise the inside of a messy cupboard, but the colours are too pretty I think so I wanted them on show! I just had all my herbs and oils loose on the shelves before and it looked so messy so I thought I would put the baskets out in the open and I love how it looks. Now it can look organised and retro at the same time! My next step is getting a pastel kettle and toaster. I just need to decide which colour I want.